Despite President Ivan Duque‘s efforts to increase congressional support for his hard-right administration, the majority of Congress wants nothing to do with him. For a week, Duque tried to hold meetings with the leaders and representatives of political parties from the center only to find out how isolated he is. After taking office in August, the president only obtained the support of his own Democratic Center (CD) party, the Conservative Party (CP) and a few splinter parties, not enough to form a majority in Congress. The arrest of one CP Senator on election fraud charges further weakened Duque’s support in Congress. The meetings were meant to improve Duque’s ability to govern, but ended up revealing how many political leaders and lawmakers don’t want to have anything to do with the president. Major power brokers, like Radical Change leader German Vargas and Liberal Party leader Simon Gaviria, didn’t even show up at the meetings despite supporting the president’s election campaign last year. Others, like key U Party Senator Roy Barreras, used the opportunity to denounce their disapproval of the president’s failure to approve key legislation that would regulate the competencies of the war crimes tribunal that has many of the president’s far-right backers in the corner. At the end of the meetings Duque was back where he began, without majority support in Congress. Is Duque’s own party his biggest enemy? The president’s main weakness appears to be his failure to effectively share power with center-right and centrist forces in Congress. So far, the president has been trying to appease the far-right allies of his political patron, former President Alvaro Uribe. Uribe and his far-right allies appear to want to have full control of the executive branch and the hundreds of thousands of administrative jobs that come with winning elections without taking Congress into account. 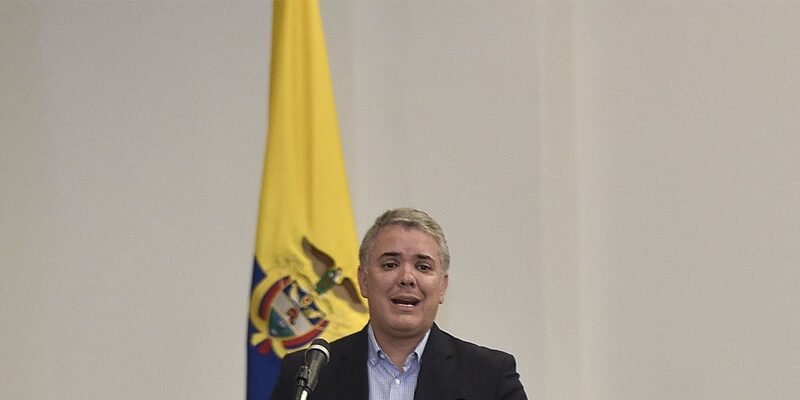 The strategy could help Uribe expand administrative power in the local elections later this year, but comes with a high cost for Duque whose authority is undermined every time one of these officials is caught on charges of corruption, abuse of power or fraud. The parties who are left outside of the executive branch, but do control the legislative branch and also seek to expand political power in October’s elections, are likely to leave Duque to take all the punches.